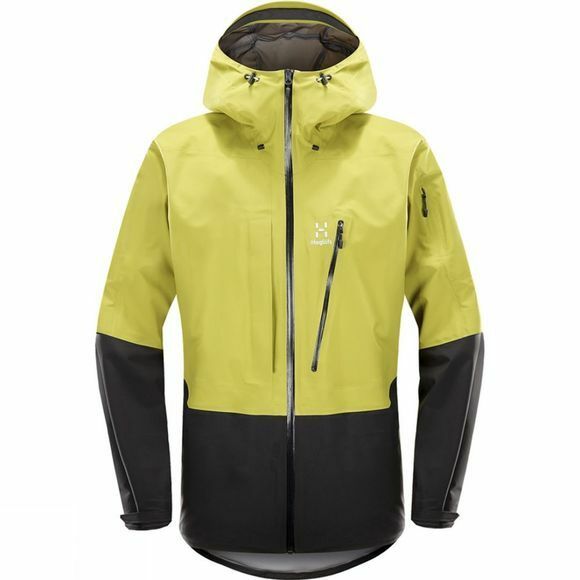 A next generation ski jacket, minimalistically designed for free-riding, but perfect for all kinds of skiing and mountaineering. The Haglöfs Men's Voitas Jacket is waterproof, soft touch yet durable. 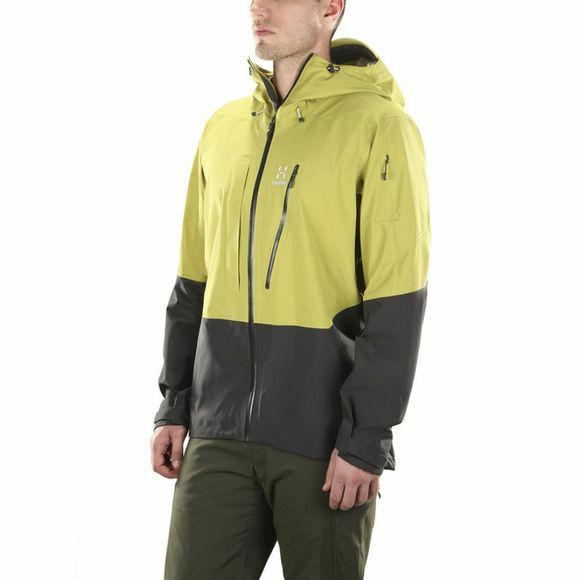 The Gore-Tex fabric with C-Knit backer technology offers high-performance waterproof and breathable shell technology. It is impressively soft to the touch yet extremely durable. A three-way adjustable, helmet-compatible hood with wire-reinforced peak protects your head and face when the weather turns. Two spacious chest pockets and an inner mesh pocket allow you to stow essentials while the sleeve pocket can accomodate smaller items such as a ski pass or mobile phone. Zipped underarm ventilation lets you regulate ventilation during aerobic activity.